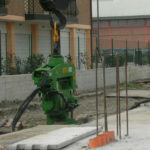 The Swivel head excavator mounted vibratory hammer allows the operator to lift the piles from a horizontal to a vertical position and immediately start driving in one easy move. 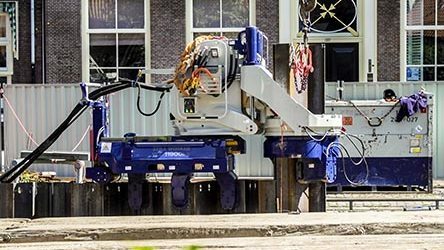 The resonance free (RF) range of excavator mounted vibratory hammers eliminates disturbing vibrations in the boom of the crane and in the soil surrounding the pile and omits less noise. 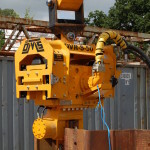 Perfect for built up areas they can be used with mobile cranes.